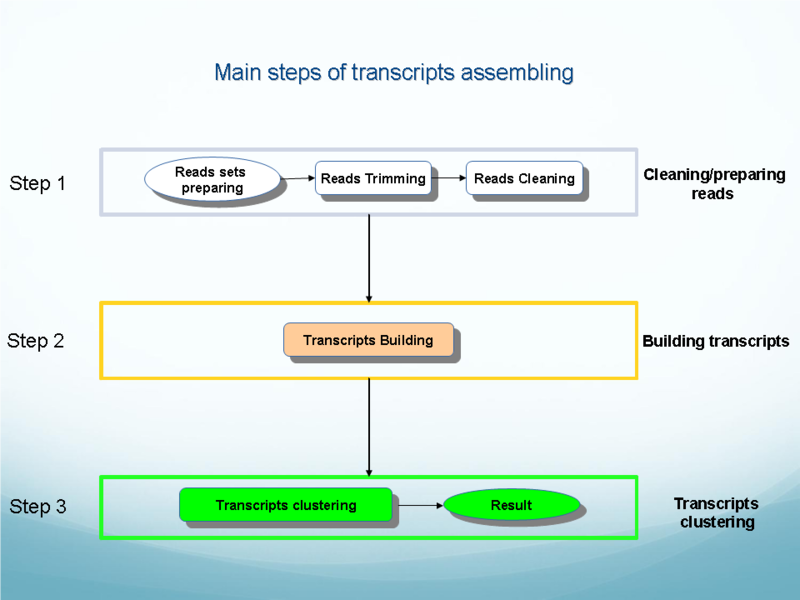 Analysis of transcriptome sequence data with estimates of gene expression level and identification of gene structure of expressed splice variant. See descriptions of OligoZip variants: OligozipDNA ( see flowchart) and OligoZipRNA ( see flowchart). 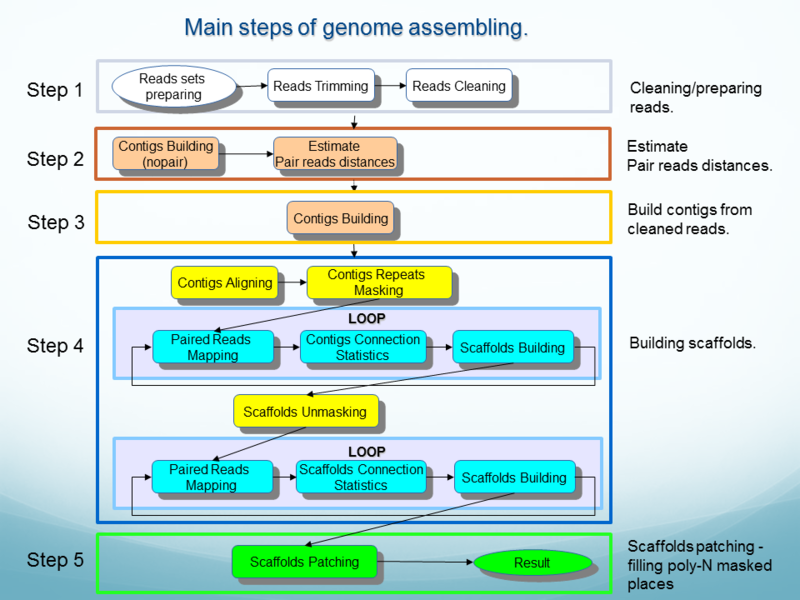 See descriptions of ReadsMap (both RNASeq and Genomic (no introns) variants). 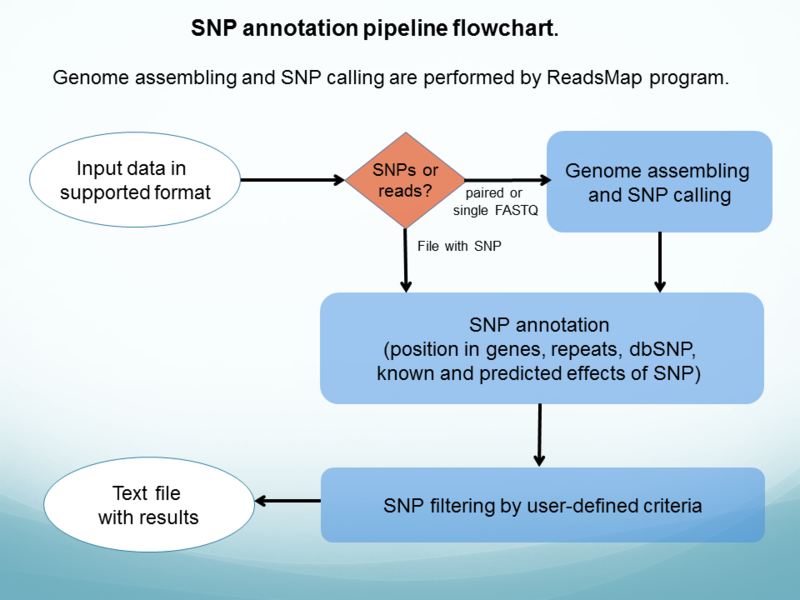 SNP discovery and annotation pipeline ( see flowchart) - annotates a set of human SNPs.